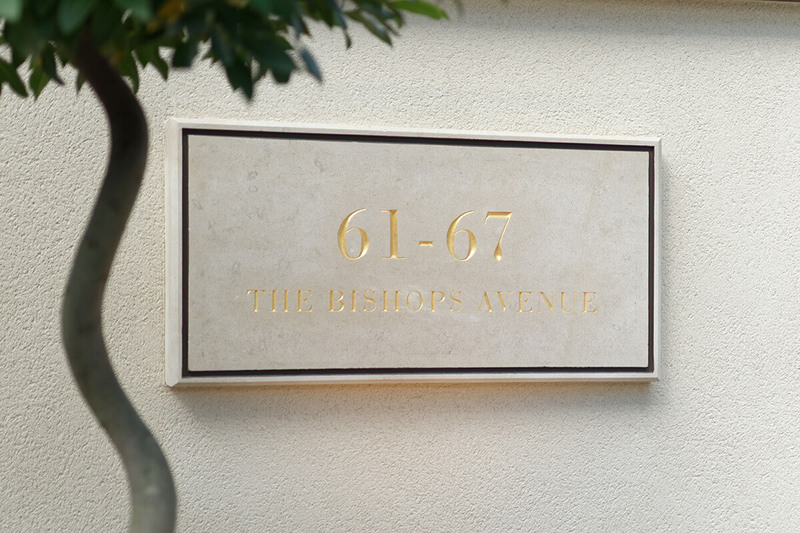 Located on the world-renowned The Bishop’s Avenue and Winner of The Daily Telegraph UK Property Awards - Residential Development of the Year 2016, Buxmead is set over a 2.5 acre site. 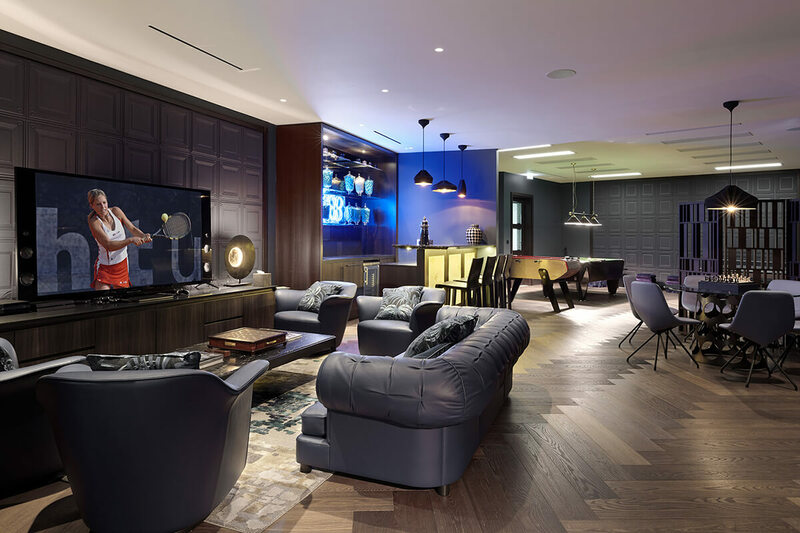 The collection of 20 apartments benefit from a 24/7 concierge and 5* facilities including a swimming pool, cinema, gym and residents lounge. 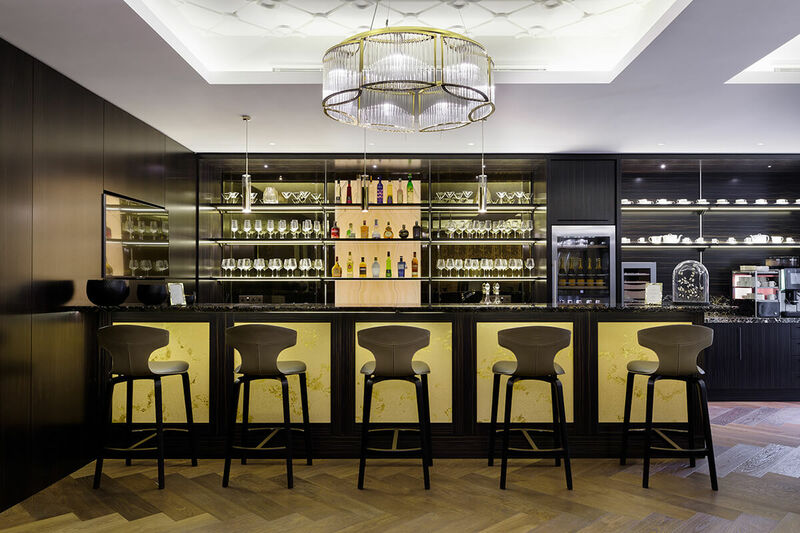 HVJ produced all fitted joinery including the statement concierge display wall, bars, panelling and TV units. 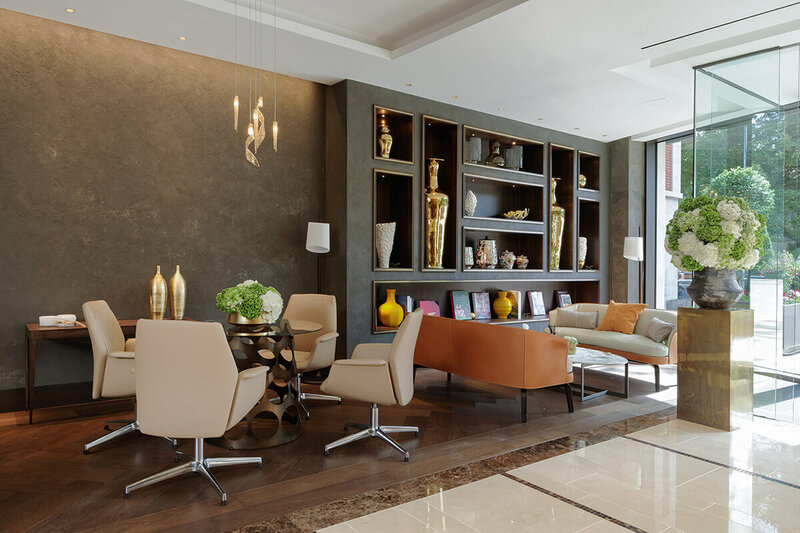 We also produced all internal doors, and loose furniture such as the concierge desk and private dining room table. 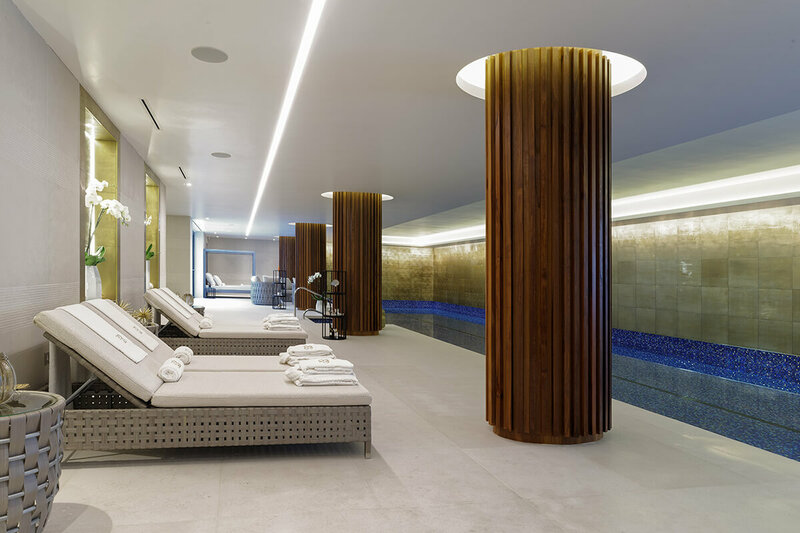 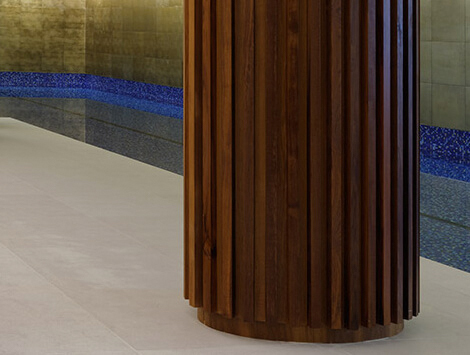 We created a bespoke hair-salon incorporating specialist basins, worked with Corian to produce the spa changing rooms and crafted teak columns for the pool area. 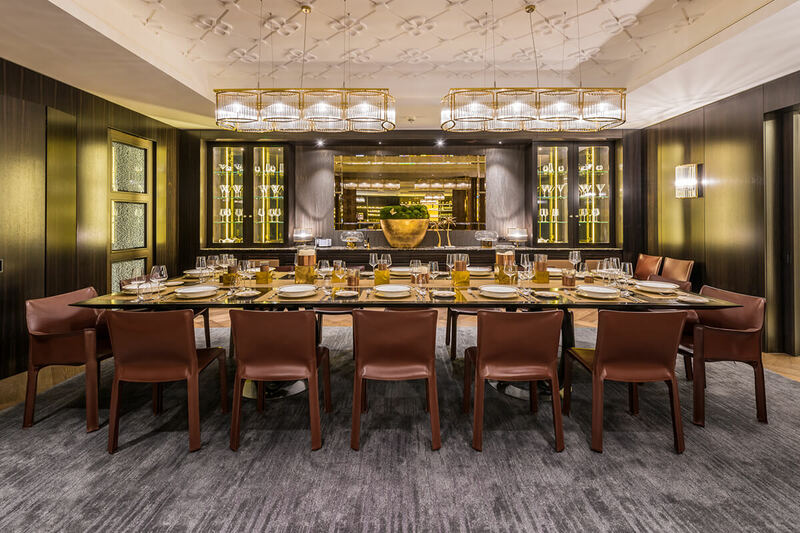 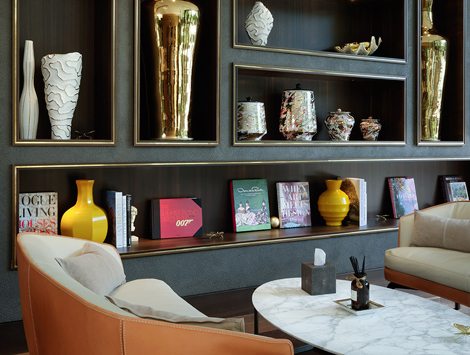 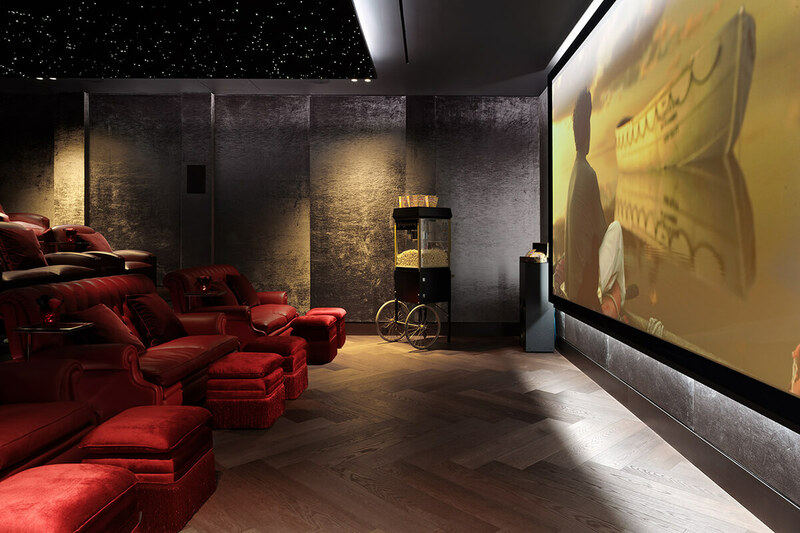 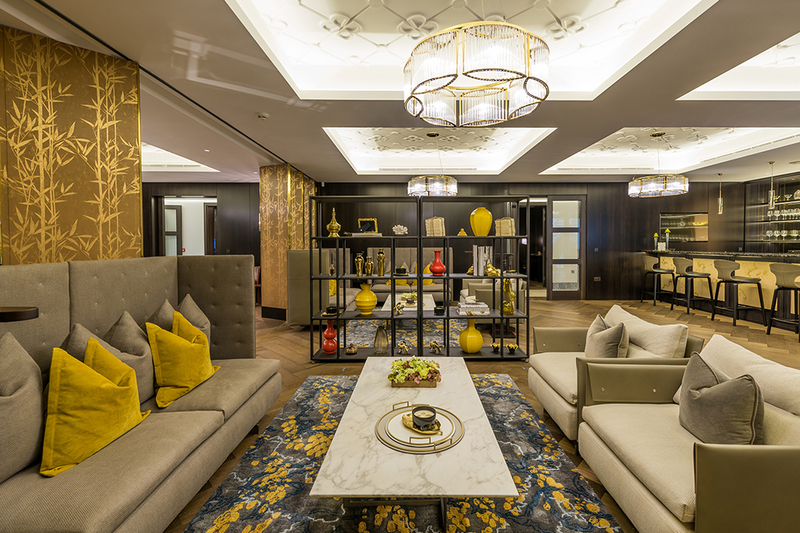 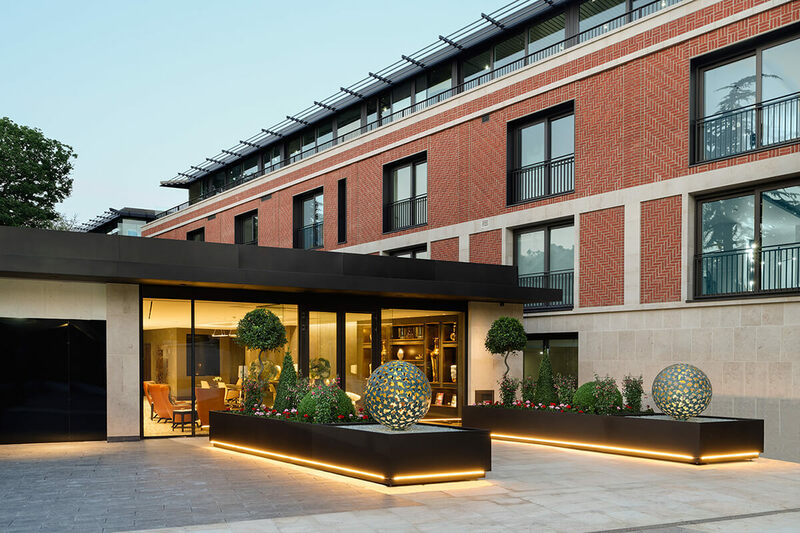 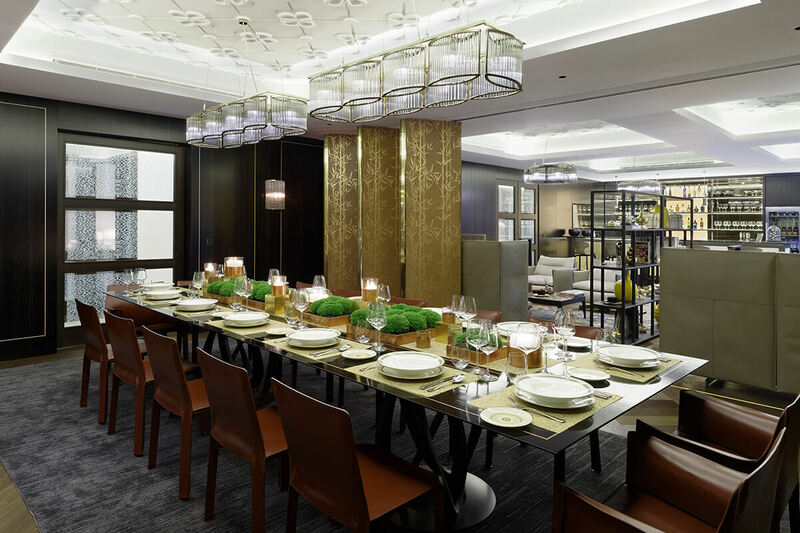 Using a multitude of different materials such as leather, mirror, glass, wall-coverings and stone such as Jamaican Gold marble – we delivered a variety of pieces that complemented and enhanced the overall scheme. 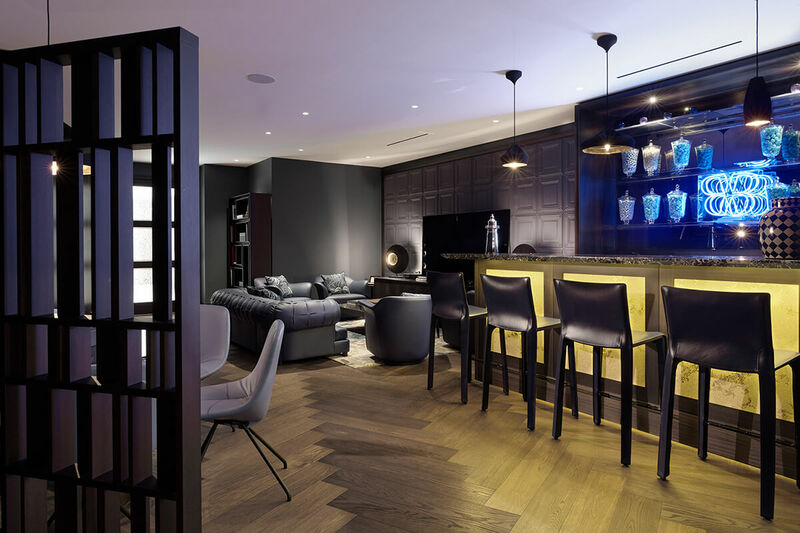 Timber box niches designed to fit decorative pieces. 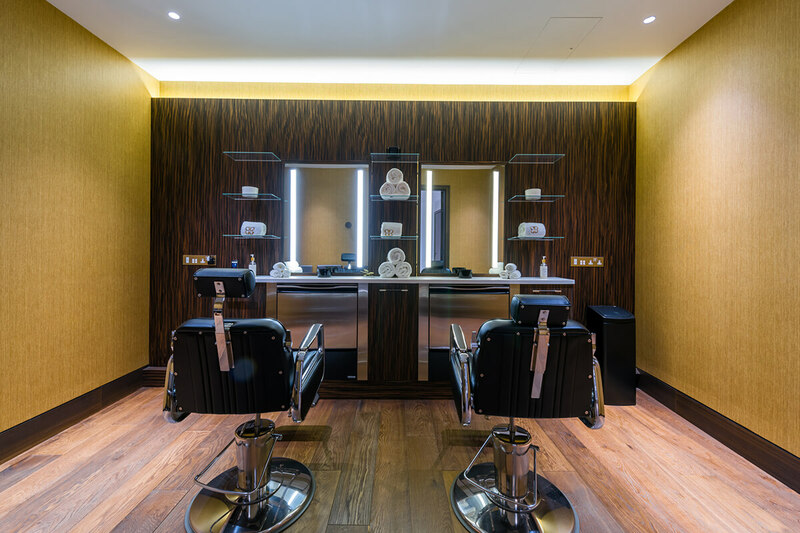 Oval teak columns with ridged design and strip lighting. 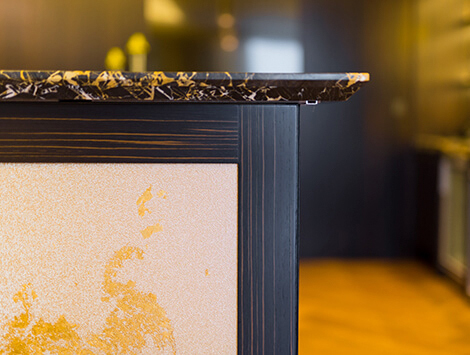 Bars featuring gold-beaded wall-covering and stone worktop.